Do you ever get sick of potato chips? Sick of that perfect thin, salty crispy goodness? Are you ever sick and tired of trying yet again another weird flavor of chips just because they exist and you are curious? 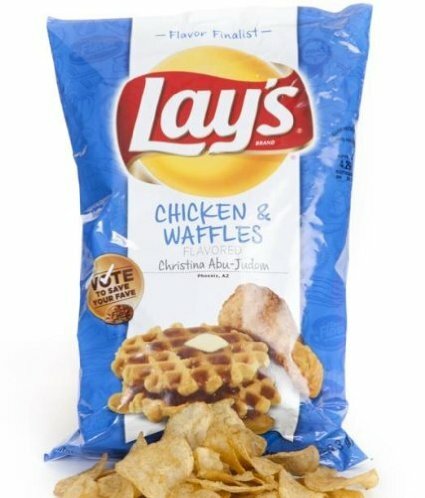 Chicken and waffle chips!—don’t mind if I do! (Yuck!) Do you ever sick of the fact that you CANNOT eat just one and therefore, you do indeed eat the whole bag in one sitting because those things literally do not remotely fill you up…at all?! I’ve had it with potato chips! Ok, I don’t know how long I can keep up this charade…who am I kidding, I love those things! Who doesn’t? However, why not give you a version that’s a little new school. 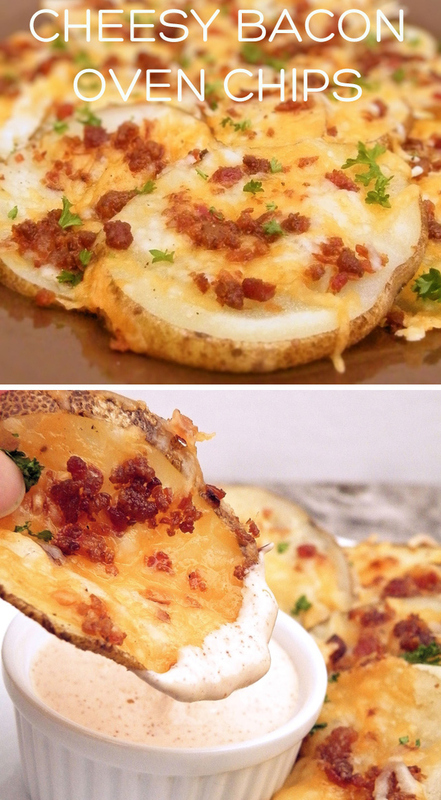 What do you get when you cross chips and loaded potato skins? These babies: cheesy bacon oven chips. Specifically cheesy bacon oven chips dipped in chipotle ranch sauce. Let’s let the picture do the talking for a minute while I settle down a bit to tell you about these babies. So here I stumbled across this gem of a recipe for these glorified loaded potato skin chips and I have found a keeper! Oh my goodness you guys, when you dip these babies in that chipotle ranch, you are NOT going to know what hit you! Good luck NOT doubling, or tripling (ahem, or quadrupling) these babies the next time you make them. The only thing that will not like these is your waistline. Sorry, not sorry! 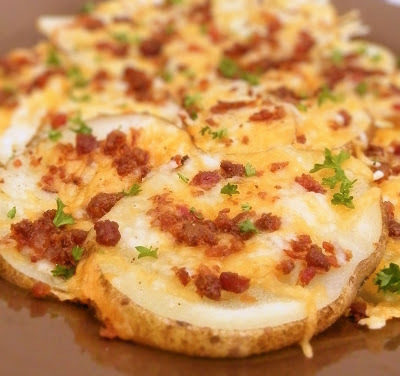 To sum it up simply, you take 1 large Russet potato and slice it up, boil it for a couple minutes, lay it out on a baking sheet and top it with crumbled bacon, shredded cheese, and honestly, whatever else your heart desires. The author of the recipe recommends chopped parsley or chives. I have done sliced jalapeños before and they were spicy heaven. The key is to use REAL bacon bits—not that imitation stuff you see in the store. · 1/8 t. cayenne (adjust more or less depending on how spicy you want).